SelectNet Internet Services has teamed with Skyriver Communication's Wireless service to offer reliable, cost effective, carrier grade high-speed Internet access - the perfect alternative or supplement to traditional landline access such as T1s, DSL or Cable. Delivered in just 3 business days, wireless broadband service is available in a variety of connection speeds from 512 Kbps to 3.0 Mbps. 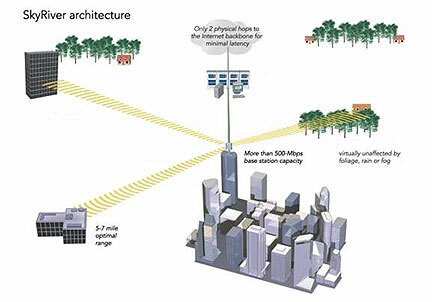 Base stations located at several high vantage points throughout Skyriver service areas. 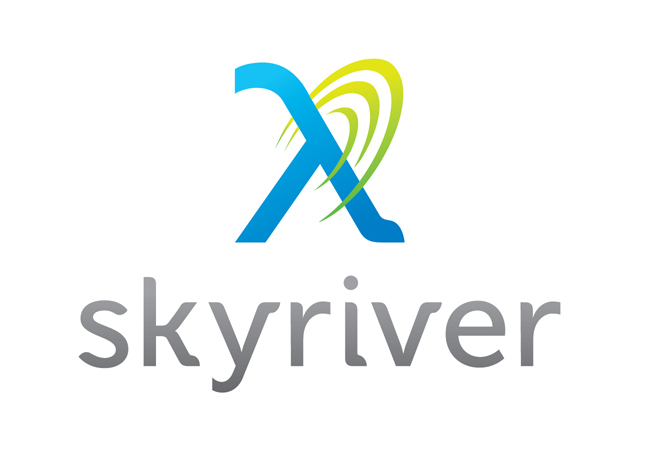 The Skyriver base stations communicate with the antenna and equipment installed at the customer location to provide high-speed wireless broadband Internet access.